As a leading provider of certification materials, FirstTryCertify understand confidentiality is important to our customers. 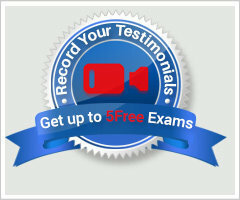 FirstTryCertify respects customers' privacy. You are required to fill in your user email and password when you register. FirstTryCeritfy only will have information on your username and password. 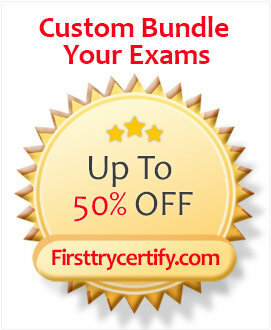 Your registered Email is your user email when your log into www.FirstTryCertify.com. Your email is used to keep in touch with you. 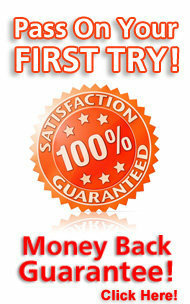 FirstTryCertify will never give, sell, rent or share any personal information with any third party. We can make sure that your account information is absolutely secure on our website. Since the payment is made directly on trusted websites such as Paypal. You can be rest assured that your credit card information is well protected. Paypal is used by Amazon.com and E-Bay.com. We do not get to see any personal information on your order. Paypal processes the transactions on behalf of FirstTryCertify.com. If you would like to contact us for any reason regarding our privacy practices, please Contact Us.